There comes a stage for many mums when their biggest concerns are no longer their little ones, but their own parents. 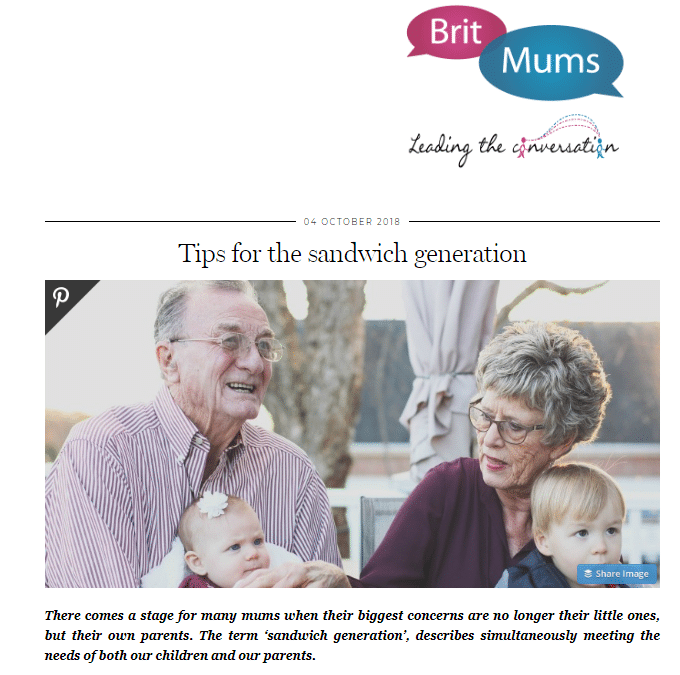 The term ‘sandwich generation’, describes simultaneously meeting the needs of both our children and our parents. Older parents who may previously have been able to give help with their grandchildren, now require looking after. Just like a toddler they may need support with their basic needs of bathing, dressing, feeding, reminding to take their medicine and help with mobility. 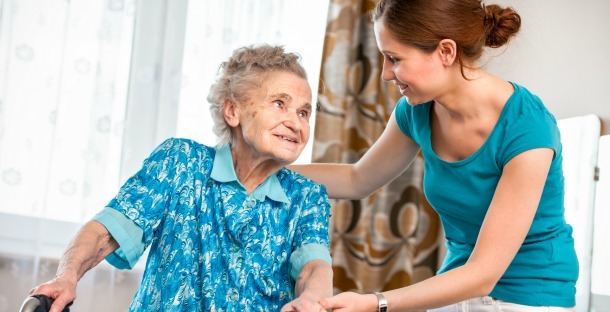 So how can we be prepared to help our elderly parents, what should we know? Qualified nurse and award winning first aid practitioner Emma Hammett, shares her expertise. There are a few areas of concern for older people that commonly threaten their health and wellbeing, as well as their independence. These challenges can be minimised by being aware of potential risks and this new website www.StaySafe.Support offers free information and resources for older people, their friends, family and carers. 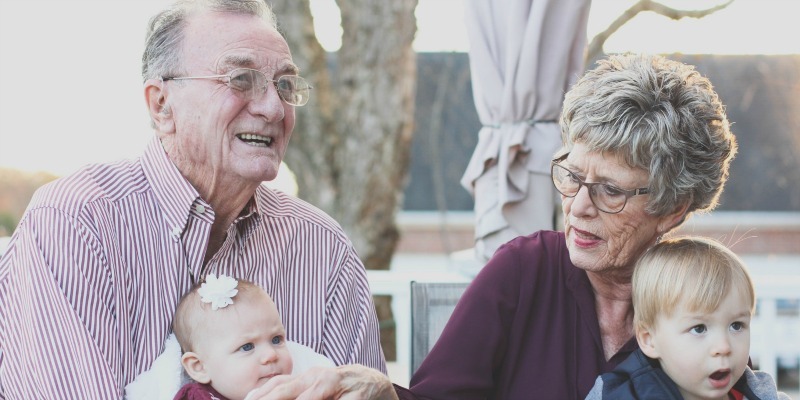 Here are some top tips for supporting your parents or ageing relatives to stay well and help prevent avoidable hospital admissions resulting from accidents at home. Falling is a major cause of older people being admitted to hospital and can have a massive impact on their confidence and future mobility. Around a third of all people over the age of 65 plus fall each year, increasing to half of those aged 80 and over. Falls and fragility fractures can lead to loss of confidence and independence, injury and death. Falls impact on mental health too, leading to avoiding activities, social isolation and increasing frailty. If someone gets muddled and confused they can be at greater risk of injuring themselves. Home-hazards are frequently a cause of accidents: Loose stair carpet, rugs, poorly fixing footwear and slippers that no longer have sufficient grip. Check these things when you visit your elderly relative. Older people’s eyesight can get weaker and they struggle particularly in low light to see the top of the stairs, or trip over things left in hazardous places. It can be helpful to have a distinct change of colour to highlight the step at the top of the stair and there is special tape you can buy to highlight each step. Medication to reduce high blood pressure, often causes people to become dizzy if they get up too quickly. This can lead to wobbling and potentially to collapse. Anyone on blood pressure reducing tablets should be encouraged to get up very slowly, whilst holding onto something. Issues with medication are common amongst older people. When older people become confused and forgetful they often forget to take their medication or forget they have already taken it and take it again. Write a list of medications available to show health professionals in case an accident occurs. Keep a copy of this on your phone for easy reference. Use the original containers. Never decant medication into different containers, always use the original clearly labelled. If the label has worn off and you are no longer sure what was in it, dispose of it carefully. Make sure people needing to take numerous pills are competent with their medication. If necessary, pharmacists can help by supplying pre-prepared pill boxes to make it easier for people to take the right medication at the prescribed times. There are also helpful apps that can help remind you and your parents about things. E-monitoring is a great advancement. You can plug in a sensor by commonly used appliances such as the kettle and if it hasn’t been used according to their usual routine, it will send you an alert, so you can call and check all is well. This type of e-monitoring is also available as an e-pill dispenser and it will alert you if your parent hasn’t taken their medication, or if they have only taken some of it. Hopefully these tips will help you to understand some of the potential hazards for an older person, but it is strongly advised that you attend a fully regulated Practical or Online First Aid course to understand what to do in a medical emergency. Please visit First Aid for Life or call 0208 675 4036 for more information on our courses. Emma has written a book called Slips, Trips and Fractured Hips which is available on Amazon as an e-book or paperback. About the author: Emma Hammett is an award winning first aid trainer at First Aid for Life. First Aid for Life is a multi-award-winning, fully regulated first aid training provider. Their trainers are highly experienced medical, health and emergency services professionals who will tailor the training to your needs. Courses are for groups or individuals at a range of locations. First Aid for life provides this information for guidance and it is not in any way a substitute for medical advice. First Aid for Life is not responsible or liable for any diagnosis made, or actions taken based on this information.